“Those who are starry-eyed about the benefits of globalisation refuse to see the link between uncontrolled immigration and mass welfare dependency. But when you had a welfare system that effectively allowed large numbers of British people to choose not to work, and an immigration system that encouraged people from across the world to come here to work, the results were predictable. 1. Britain had ‘uncontrolled immigration’. 2. Immigration leads to ‘mass welfare dependency’. 3. Immigrants have taken British jobs from British workers. 4. Capping economic migration will protect British jobs for British workers. 5. Lower net migration is an accurate measure. These are huge claims with strong policy implications. But how do they stand up against the facts? Let’s break each of these down. The UK has never had uncontrolled immigration. In recent years, the closest this has come to occurring is through EU freedom of movement, but even this is not truly uncontrolled, and non-EEA migration is very tightly regulated. Freedom of movement means EU citizens and family members can move and reside in another member country for up to three months. For those wishing to stay longer than three months, they must be (self-)employed, have independent means or be a student/in vocational training. EU citizens cannot simply enter Britain and sign onto the benefit system, contrary to widespread myths. With all of these requirements, EU freedom of movement is not the same as ‘uncontrolled immigration’. Underlying this statement is the truth claim that the UK has mass welfare dependency. It is a common claim right now that the UK has a ballooning welfare bill caused by too many people living off of benefits. Several studies have shown conclusively that the largest increase in the welfare bill is comprised of payments to pensioners. If pensioners are removed from the figures, government spending on other benefits has remained basically flat for the last 25 years. Furthermore, of the non-pensioner benefits, the majority are paid to people working in jobs that don’t pay a living wage. Only 10-13% of people are unemployed and receiving benefits. Many of these are un-/low-skilled workers who face cyclical unemployment. This evidence refutes the claim that the UK has a welfare dependency problem. Furthermore, several studies have shown that immigrants are less likely than Britons to draw benefits even when they are in the same socioeconomic circumstances and qualify to draw benefits. Linked to point 2 is the accusation that immigrants have caused ‘native’ unemployment by taking away British jobs. There are many nuances to be disproved in this claim. In fact, many immigrants are self-employed, which means that their jobs are self-created and would not have existed if they were not present. There is some evidence that un-/low-skilled migration affects the lowest skilled British workers slightly, but there is no evidence overall that immigrants take away British jobs. Immigrants are also net contributors, which means that they put more into the economy than they take out. In fact, capping migration could have disastrous effects on the British economy. Nearly a third of health workers are foreign born. British R&D and universities are dependent on highly skilled foreign workers. Decreases in foreign student numbers have wider impact on local economies where those students would have spent money. There is no conclusive evidence of widespread abuse of the student visa system. Caps therefore mean less money coming into the UK economy. It includes both Britons and foreigners. Because of this, the number of people entering the country could decrease, but net migration could remain steady or even increase because of a decrease in the number of people leaving the country. This is exactly what happened when the recession hit in 2008: Britons who had been emigrating to countries like Australia in their droves stopped leaving the country, so even though the number of immigrants arriving decreased, net migration did not. Unlike many other developed countries, students are included in UK net migration figures, despite the temporary nature of their stay. Also included: EU citizens; spouses, children and dependent relatives; and refugees. Around half of immigrants entering the UK each year are Britons and EU citizens. Once spouses, dependents, British and EU citizens are excluded, relatively few people are left whose entry government policy can bar; and most of these are highly skilled or working in occupations with skills shortages. All of this should at least make you question the accuracy of claims like those put forward by David Cameron. There is no evidence of uncontrolled immigration, of benefit tourism, of a welfare dependency culture, of lower unemployment from stopping immigration. When national leaders say otherwise, they perpetuate the myths. Want more evidence? Try Full Fact, Channel 4’s FactCheck, the Institute for Public Policy Research, the National Institute of Economic and Social Research, and Oxford’s Migration Observatory. 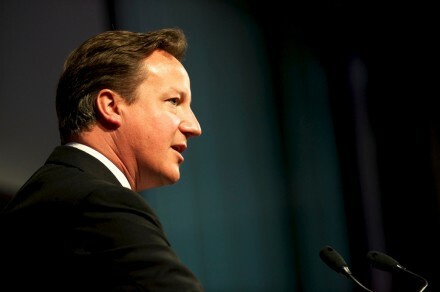 Polling Observatory #21: is David Cameron picking the wrong fights? You are of course entirely correct. But with respect I think you misunderstand what’s going on. The British public is concerned and worried about immigration for all sorts of reasons, and that concern is exacerbated by the lack of a “safe house” in which to express those views. Political correctness and “anti-racism” are the dominant mode of discourse, and other views are suppressed. This leaves politicians with a problem. On the one hand they want to be seen to respond to the democratic will of the people (otherwise they won’t get re-elected) but on the other hand they’re unable to debate the issues publicly for fear of appearing racist which, as we know, is today’s unforgiveable. So they subvert the evidence. I’m honestly not sure what else they can do. And I think it’s important to note that they’re responding to a problem which we, the electorate, created in the first place. Uncontrolled immigration may not be the right description of great changes to UK population but the reality for most people is that ilarge-scale immigration has changed their society. Here in Eastbourne, for example, in a population of less than 100,000 there are more than 5,000 immigrants: Poles, Bulgarians, Romanians, Turks apart from EU citizens. One school copes with their pupils speaking more than 40 foreign languages. Southall in London, Leicester, Bradford and other towns in the North are heavily populated by Asians and their descendants. In some instances the native English are in a minority. Local cultures have changed in less than a lifetime. So let us not ignore reality. Try telling the parents of the only boy in a London school who has English as a first language that mass immigration is a fantasy! Immigrants have “taken British jobs” only in the sense that that they are working in low-paid, menial work that the British worker is not prepared to do nowadays. Generally those unprepared to take such employment are drawing benefit and thus increasing welfare dependency. It is surely contradictory that in recent years has several million workless yet can absorb half a millionmigrants who seem to have no trouble findind work. Britain has because of its benefit culture created an imbalance of employment which is very difficult to unravel. The whole tenor of the criticism of Cameron is academic, playing with statistics that bear little relation to what is happening on the street and the reality of people’s lives. michael black, just wanted to point out when you say “Poles, Bulgarians, Romanians, Turks apart from EU citizens” that Poles have been EU Citizens since 2004, and Bulgarias and Romanians for sometime as well… Europe doesn’t end in Germany.